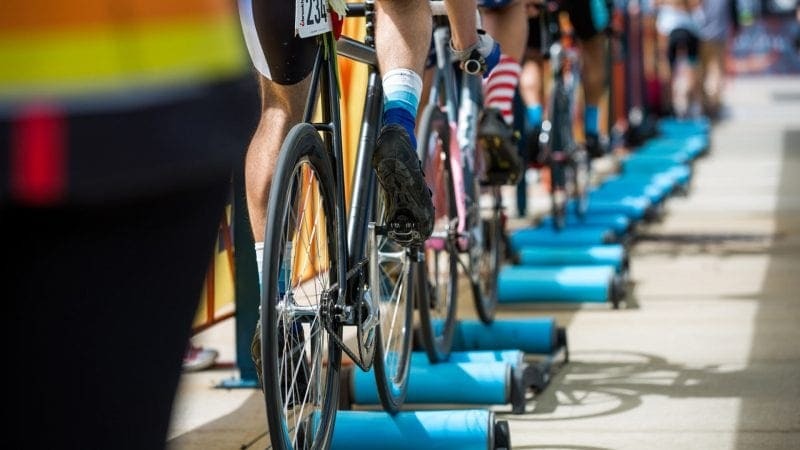 Bike Rollers vs Trainers – which one is better? Well, there’s no quick and easy answer to this. It all depends on what you want to achieve from riding indoors, your budget and maybe even your familiarity with using either the rollers or trainers. So let’s take a deeper look into rollers vs trainers in different aspects and see where they truly excel. When it comes to cost, rollers are generally the cheaper option compared to trainers. The affordability of rollers is due to its simplistic design. Rollers still retain their bare-bone set up that generally doesn’t come with the complicated flywheel system or smart functionalities usually found in the bike trainers. These days, there are more advanced rollers with variable or dynamic resistance and even smart functionalities. But they’re few and far in between. For example, Elite Arion’s Smart Rollers, which retails for $600+, is similarly priced to indoor trainers. On the overall, rollers on average cost between $100 and $300. 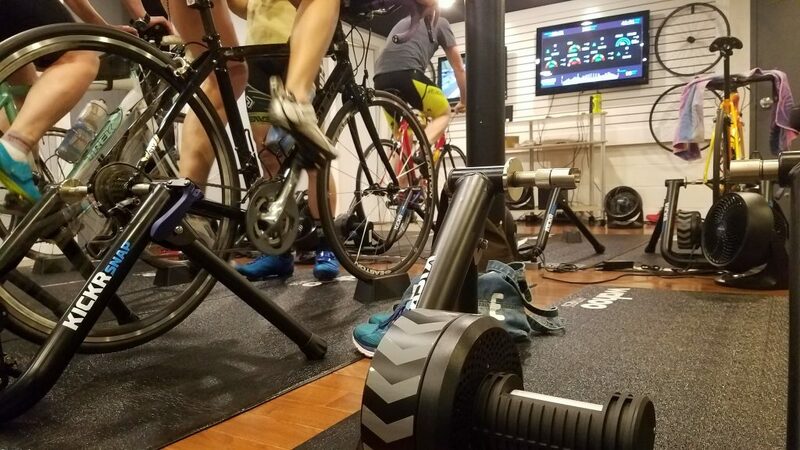 In stark contrast to rollers, trainers have gained a smart edge, which allows cyclists to connect to online training platforms like Zwift and Trainer Road. This new functionality has added the fun element into riding indoors. You no longer need to spin mindlessly for hours but instead you can now race against each other on Zwift. Technological advancement, it comes with a higher cost as well. Generally speaking, trainers retail from $200 to $400 for dumb ones and up to $1000 for the smart ones. But don’t despair, there are still basic trainer models that can be found for less than $200. Winner : Rollers are the clear winner in this category because they are very affordable. A primary consideration when choosing between a trainer and a roller is the ease of use. The most beginner friendly option is the trainer by far. In a wheels-on trainer, the bike’s rear wheel is attached to the trainer which effectively allows you remain upright without having to balance. With direct drive trainers, the rear wheel needs to be removed and the rear dropouts of the bike mounted directly fastened to the trainer. Trainers are also relatively easy to set up. Once the initial set up is complete, you can start your indoor training. Trainers take the the balancing skills out of the equation by letting you focus on your pedaling. Rollers, on the other hand, need a higher level of skill.s This is because rollers require you to keep yourself upright, balanced, and pedaling. It’s similar to riding outdoors on the road, but with one small but important difference. You’re still pedaling but not going anywhere at all. Even the most experienced of cyclists would need some practice when it comes to riding rollers. It’s common to fall sideways when riding rollers during your first few attempts. Winner : Trainers win as they’re much easier to ride, especially for beginners. When it comes to riding indoors, the ride feel can either make or break your experience and enjoyment. Rollers require you to maintain your balance so that the bike can move freely. The lateral movements of the tires create a very similar feeling to riding outside on the open roads. This realism keeps you much more engaged not only in terms of putting out the power, but also sharpening your bike handling, pedaling technique and balancing skills. Another added benefit of rollers is that you can stand up and sprint, something which is not encouraged on a bike trainer because it can cause damage to the bike frame. Trainers don’t allow your bike to move underneath you at all because they’re attached at the rear. This lack of movement creates a more controlled ride experience that doesn’t feel as realistic. 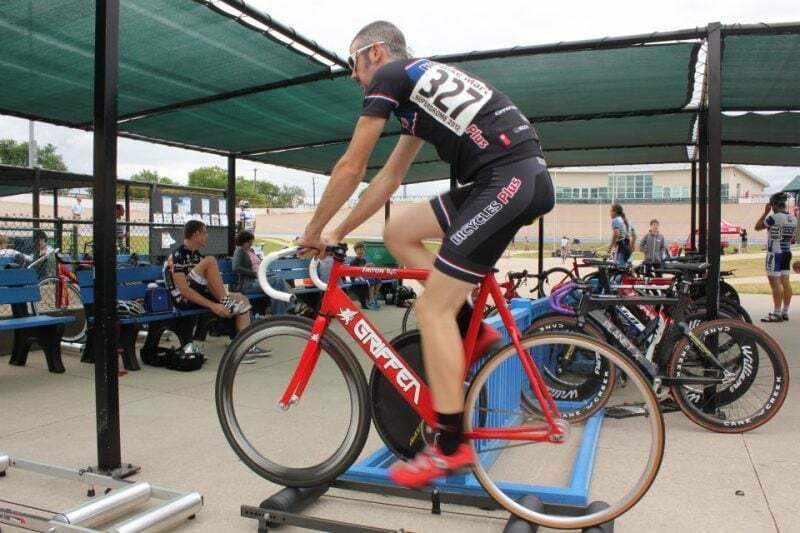 Winner : Rollers provides a more realistic ride feel and allows you to do standing or sprinting efforts. Another factor to consider when comparing trainers and rollers is the amount of tire wear incurred. With rollers, both the front and rear wheels are touching the roller drums. This allows the bike to move freely around the drums as your pedal, avoiding any specific pressure spots on the tires that can develop into heat spots. On the other hand, wheels-on trainers require the rear wheel to be clamped in place. This quickly creates hot spots and wears the tires out quickly. When using a wheels-on trainer, it’s highly recommended that you use a trainer tires (they’re usually blue in color) that are designed to handle heat and increased durability. Winner : Direct drive trainers doesn’t wear out any tires as the rear wheels will need be to be removed. For this category, trainers take the prize in the ease of training and resistance. For specific training purposes, rollers fall short in this category due to the lack of built-in resistance. Most, if not all trainers, offer built-in resistance. This is enhanced further by new smart models offering dynamic resistance, which change according to the workouts you selected especially if you’ve a target power number to hit. 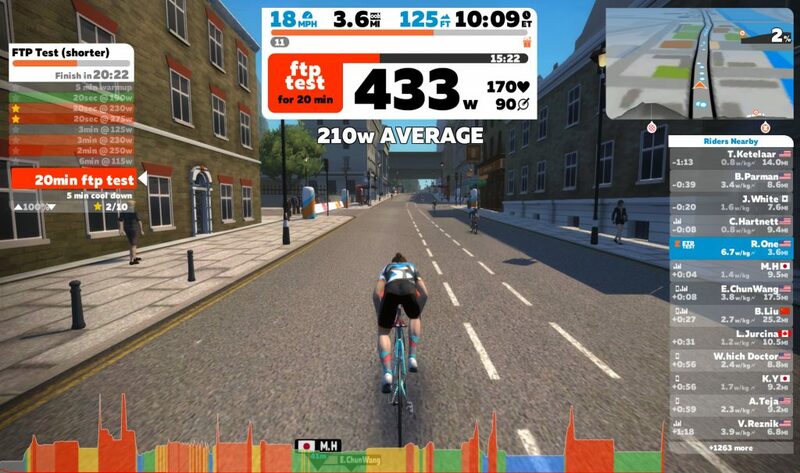 Winner : Trainers, in particular smart trainers are ideal if you’re training to hit a certain power number. Once you’ve finished your training session, you’ll more than likely want to store your roller or trainer. This category is won decisively by the roller. Rollers usually weigh between 17-30 pounds compared to trainers that weigh up to 60 pounds. Rollers weigh significantly less and can be transported with ease. Most roller models can be folded to be stored under a bed or in a closet. In contrast, trainers are bulky in design and generally can’t be broken down in size. The ability of rollers to break down in size makes storage a breeze after a training session. Rollers are ideal if you’ve limited space, such as apartments or small rooms. Trainers require more space and may not be ideal for smaller living spaces. Trainers are usually left in one spot due to their size and weight, which makes them much more stationary than their roller counterparts. It’s no fun lugging a 50-pound trainer after a grueling training session. Winner : Rollers are lighter and can be easily folded up as compared to trainers.